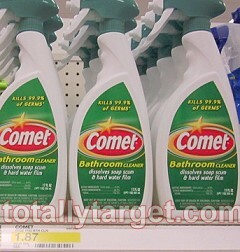 Comet Bathroom Cleaner only $0.87 w/ Coupon! Hurry and print this new coupon to get a great deal on bathroom cleaner at Target! Thanks for deal and photo, Totally Target!